Today I am sharing 3 new Dollar Tree DIY projects with you! 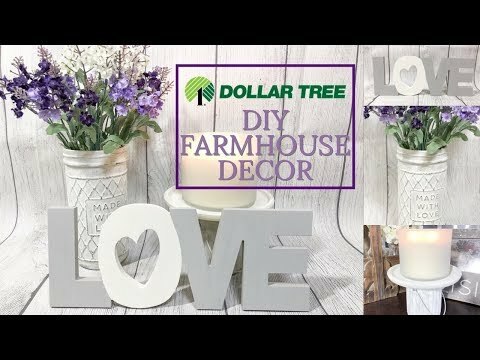 I think these easy farmhouse home decor DIYs make the perfect addition to my home decor. NextHOW TO TURN TOWELS INTO GLAM SIDE TABLES| Home Decor Ideas 2019| Sunroom Decor!